DISCLAIMER: As this review is a First Impressions of a DLC that is still in development, there will be no */10 Geeks score at the end. There is also a slant towards the positive aspects and, unless otherwise stated, any mention of negative elements or bugs may be attributed to the game still being made. Some who wish to remain clean of any foreknowledge may also find MINOR SPOILERS in this review. If a few hours spent in the vineyards of Beauclair are any indication, Blood and Wine is going to be a sumptuous narrative and visual feast. It'll also be quite the bittersweet one. 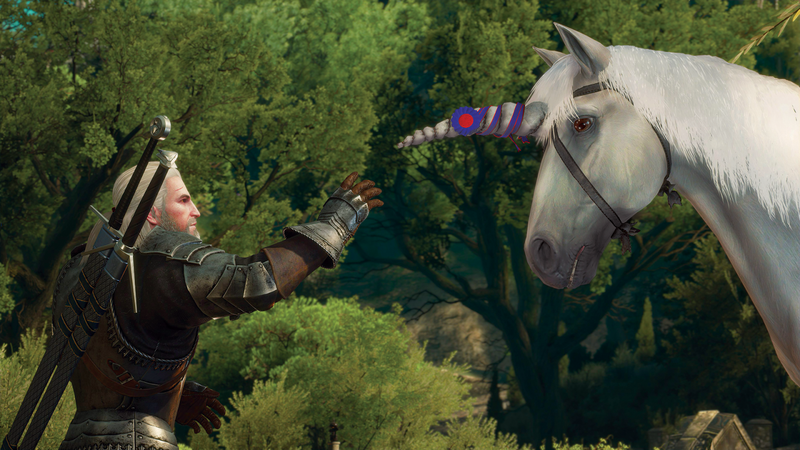 While last October's Hearts of Stone was a delightful, if brief, added sojourn to the already superlative experience of The Witcher 3, the real focus was on what would come after; as early as the game's initial release, developers CD Projekt Red were boasting of a second expansion that would rival the main story in terms of content. Such claims recalled the wide open add-ons of other DLC like Skyrim's fantastic Dragonborn expansion, effectively crafting an additional game world attached to the one we're familiar with. Suffice it to say, CDPR weren't talking out of their rears. Blood and Wine's Duchy of Toussaint region is truly massive at first blush, presenting a land comparable in size to Skellige. (actually, if we're being honest, it looks a little bigger - sorry, snowfolk!) Dotted strategically throughout Toussaint are a wealth of sidequests, monster contract locations and settlements to discover, ensuring you won't be short on pioneering new ground while you follow the expansion's intriguing main questline. Coupled with the expansion's... um... expansive (sorry) geographical add-on, is an intriguing new plot that both spins out from and stands alone beside the game's main story. Summoned to aid the feisty Duchess of Beauclair with some local trouble, Geralt is taken to sunny Toussaint and tasked to investigate some rotten goings-on. 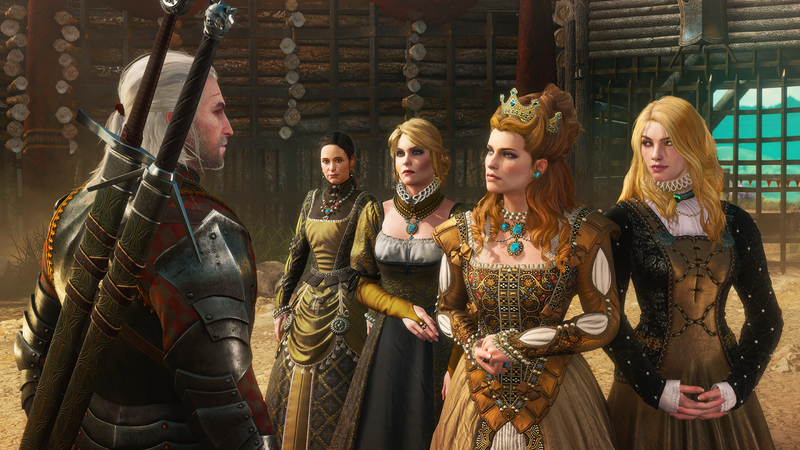 Not long after arriving, an incident at a knights' tournament leads Geralt to an unexpected source of trouble for the Duchess, one that might have a personal connection to Geralt himself. 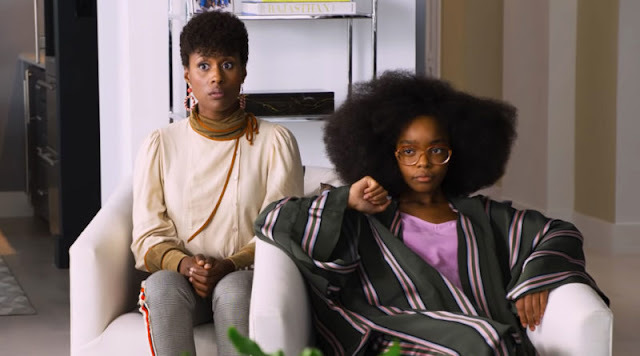 I'm being deliberately cagey about the plot not only because I only spent a good two hours with it - both of which were glorious, as I'll get into below - but because there were some nice early surprises that don't deserve to be spoiled. 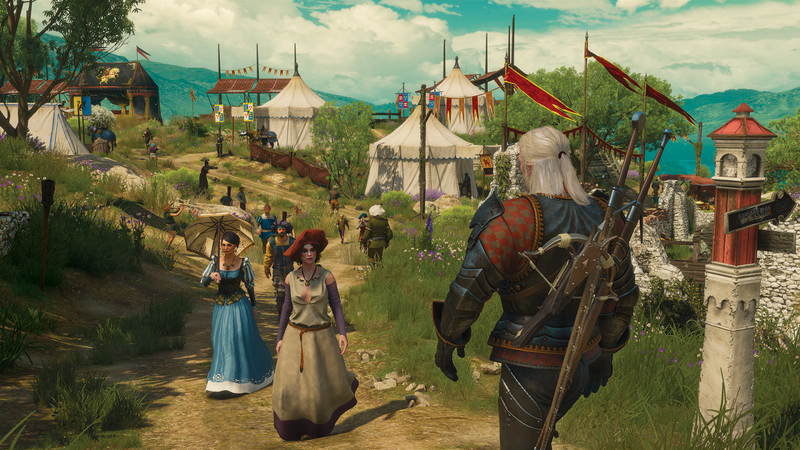 It's fair to say that you'll probably be as interested as I was once the potential culprit of Toussaint's woes shows their face, and the dynamic entry of one supporting character in particular deserves to be left entirely alone. So what I'm saying, in an overly sesquipedalian manner, is that you should come into this expansion as cold as post-tonsil surgery ice cream. What isn't cold is the region you're visiting. Beauclair boasts the most colourful, sunny visuals The Witcher's ever put to screen, a rolling landmass of hilled villages and a city equal parts inspired by Renaissance-era and modern day Italy. Immediately upon landing on Toussaint, you'll notice a stark contrast in the palette compared to the murky greys and dreary rains of Velen and Novigrad; while I did love those original regions, and still do, the jump from downer to dynamic colours is a welcome one. I recommend, once arriving at Beauclair, that you stroll to the balcony overlooking the northeastern expanse of the continent; even for a simulacrum, the view is spectacular. 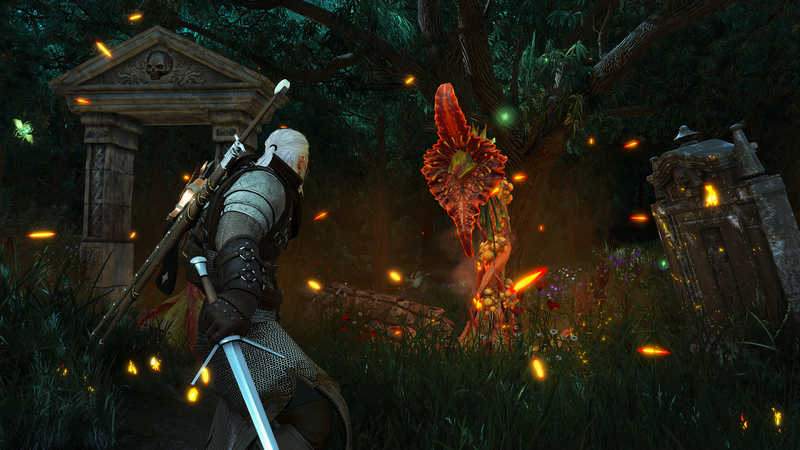 The graphics also appear sharper overall, something CDPR have said will also carry over into the base game. 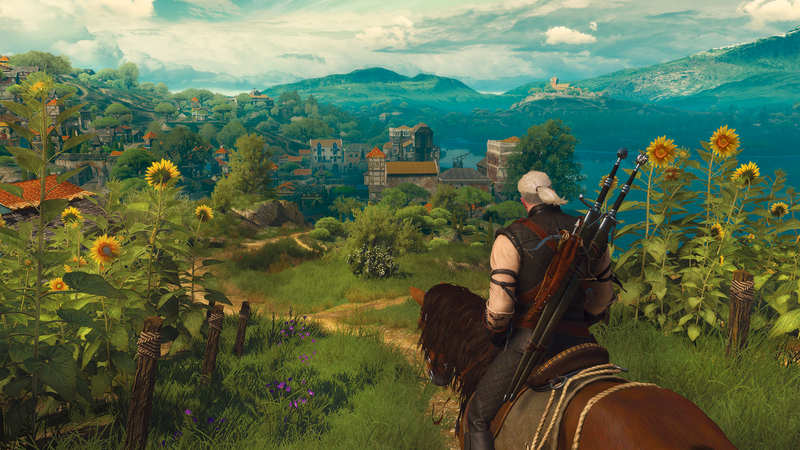 Controls are largely the same, though CDPR have introduced a few welcome tweaks in the user interface. 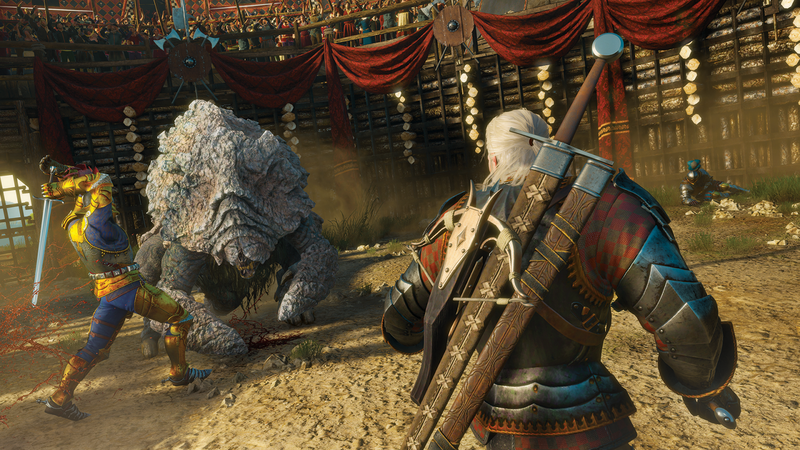 The inventory layout and skill systems are neater, along with a couple of additional levelling systems that might be considered partial spoilers (I will say that one of them involves fiddling with mutagens, which looks like a lot of fun and a great way to create, in the words of one of CDPR's senior designers, 'a God Mode Geralt'). On top of all that, the player is given a home base location they can add onto and build upon, a la Fallout 4's settlements mechanic. 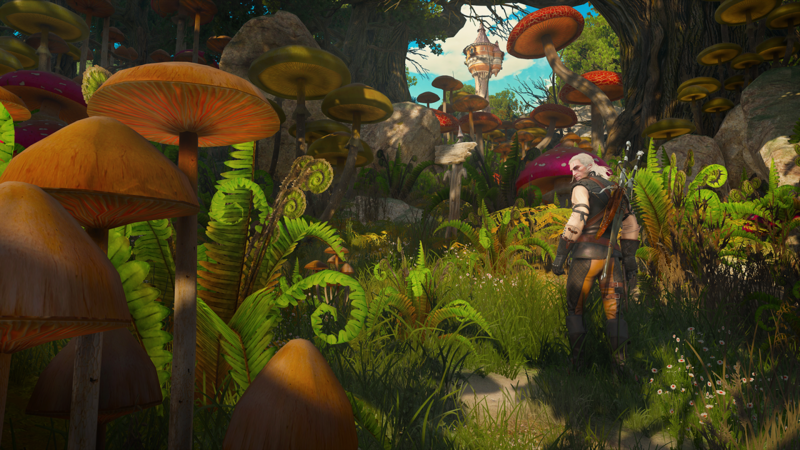 The base, a vineyard encountered during the main questline, allows you to put armour sets on display - which, on that subject, armour can now have its colour customised, so running around Toussaint in hot pink battle armour is now more possible than ever - gives you a bed for Geralt and a stable for Roach, both of which provide in-game bonuses when used, and allows you to invite friends from the main game, like Yennefer and Triss, to hang out with you for a bit. All sounds good, right? Definitely, but as I said, this is also a bittersweet occasion. 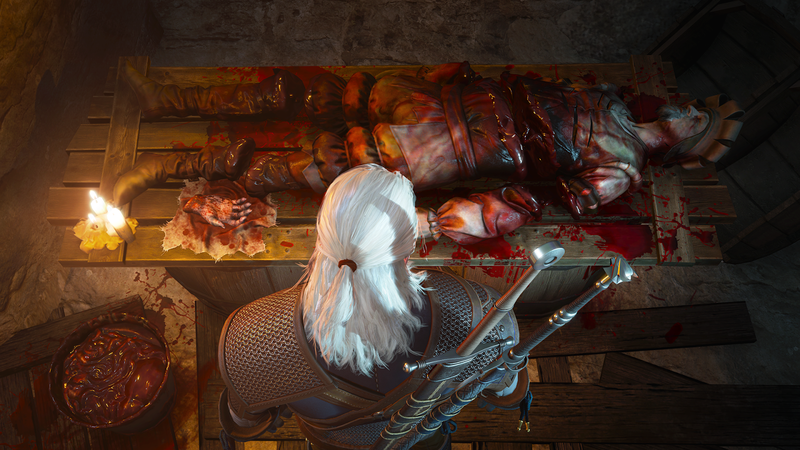 As CDPR have made very clear, Blood and Wine is the final Witcher game chapter for the foreseeable future, one final hurrah for characters that some have spent nearly a decade following alongside. When speaking with CDPR's Fabian Doehla and Jamie Bury, both of whom were around for the hands-on beta I was lucky enough to play (the latter of whom graciously gave an interview for the site - look for it to be uploaded soon! ), I got the feeling that the Witcher development team are similarly elated and morose to be finishing one of gaming's most successful franchises. Speaking for myself, The Witcher 3 was the first of the series I really got my teeth into (as mentioned previously, I started 2 but couldn't get into its groove), and that was epic enough in and of itself to provoke as strong emotions in me as when I finished three games' worth of Mass Effect. As it stands, Blood and Wine looks set to be a satisfying, hugely enjoyable swan song for The Witcher 3, and a fitting finale from CD Projekt Red. It's big, it's bright and, for the time I spent with it, it's a lot of fun. Not a bad way for a gaming exemplar to go into retirement. 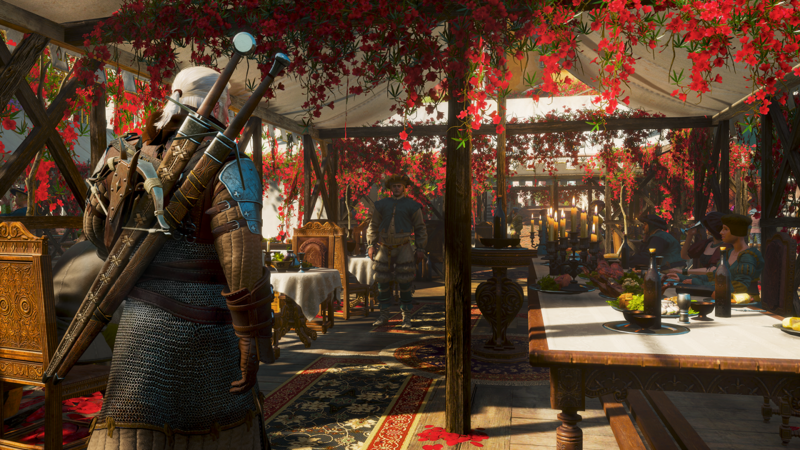 The Witcher: Blood and Wine is due for release May 31 for Playstation 4, Xbox One and PC. A full review of Blood and Wine will be put out following the expansion's release date.